As we talk about multimode fiber optic patch cable, singlemode fiber optic patch cable will inevitably come into mind. We know that fiber optic patch cable can be divided into singlemode and multimode according to the types of the cable, but what’s the difference between singlemode and multimode patch cables? How many types are there of multimode patch cables? What’s the application of multimode patch cables? This text will solve the questions above one by one. Optic patch cable is a cable with two connectors at both ends. The center of it is glass core which is optic transmission media. The diameter of glass core in multimode patch cable is 50μm~65μm, which is roughly comparable to the thickness of a human’s hair. The diameter of glass core in singlemode patch cable is 8μm~10μm. The main difference between singlemode and multimode patch cables falls on the fiber cables.The lighting device of multimode fiber cable is LED, while singlemode fiber cable is LD. Multimode fiber cable allows multiple beams of light passing through, while singlemode fiber cable allows one beam of light passing through. As modal dispersion happens in multimode fiber cable, the transmission distance is relevantly nearer than singlemode fiber cable in which modal dispersion never happens. Therefore, multimode fiber cable is generally used in relevantly recent regions network connections, while the singlemode fiber cable is often used in broader regions. 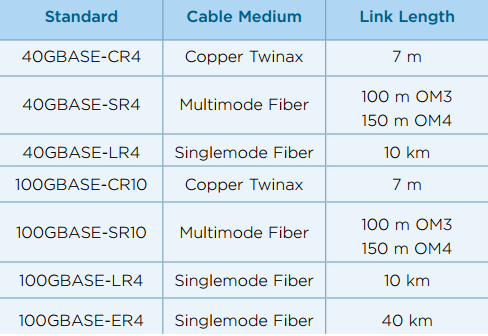 Multimode fiber optic cables can be divided into OM1, OM2, OM3, and OM4 based on the types of multimode fiber. The letters “OM” stands for Optical Multimode. 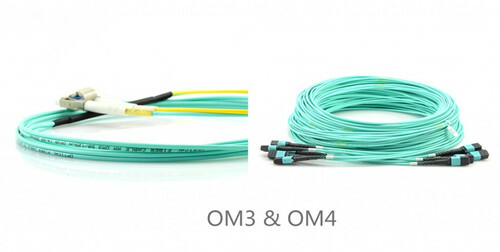 OM1 and OM2 belong to traditional multimode fiber patch cable, while OM3 and OM4 belong to new generation fiber patch cable which provides sufficient bandwidth to support 10 Gigabit Ethernet up to 300 meters. The connector types include LC, FC, SC, ST, MU, MTRH, E2000, MPO, ESCON and so on. Different type of connector is available to different equipment and fiber optic cable. 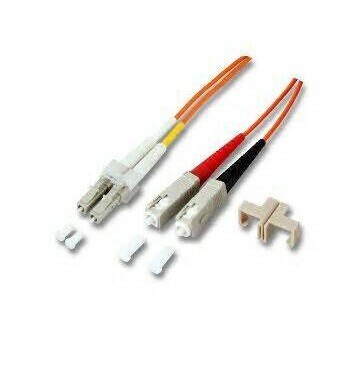 By the optic fiber cable jackets, multimode fiber patch cable can be divided into PVC multimode patch cable, LSZH multimode patch cable, plenum multimode patch cable, and armored multimode patch cable. PVC is non-flame retardant, while the LSZH is flame retardant and low smoke zero halogen. Plenum is compartment or chamber to which one or more air ducts are connected and forms part of the air distribution system. Because plenum cables are routed through air circulation spaces, which contain very few fire barriers, they need to be coated in flame-retardant, low smoke materials. Armored fiber patch cable use rugged shell with aluminum armor and kevlar inside the jacket, and it is 10 times stronger than regular fiber patch cable. Multimode fiber optic patch cable is commonly used to connect optical transceiver with optic pigtail. OM1 and OM2 cables are commonly used in premises applications supporting Ethernet rates of 10Mbps to 1Gbps, which are not suitable though for today’s higher-speed networks. OM3 and OM4 are best options of Multimode today. For prevailing 10Gb transmission speeds, OM3 is generally suitable for distance up to 300 meters, and OM4 is suitable for distance up to 550 meters. This entry was posted in Multimode fiber cables and tagged fiber optic patch cable, multimode patch cable on April 11, 2015 by Admin. The best source on the Internet for cabling and connectivity products: multimode fiber optic cable, custom cable assembly, fiber optic patch cable, fiber optic cable. Multimode, Plenum, connector Type, LC, MTRJ, SC, ST, features. Multimode, plenum, singlemode fiber, fiber Type 50/125 10 gig 9/125, length (In Meters) 1 M 2 M 3 M 4 M 5 M 6 M 7 M 9 M 10 M 15 M 20 M 30 M, page Date AM, fiber Optic Cable, Plenum, Multimode, 50/125, Duplex. In Stock FO foot (30m) multimode duplex LC/ST 62.5 fiber cable – 3mm jacket 37.00 Qty. In Stock Back to Top Fiber Optic Cables – ST/ST Connectors Part No. Description CDN FO foot (1m) multimode duplex ST/ST 62.5 fiber cable – 3mm jacket 9.60 Qty. In Stock FO foot (2m) multimode duplex ST/ST 62.5 fiber. Fiber optic Patch Cable Multimode and Single Mode various size cable assemblies for fiber optic patch cord connection. Connect fiber optic panels and networks. Fiber Optic Patch Cable ST to ST 10 Meter MultiMode (OM1) Duplex 2.0mm ofnr PVC Non-Plenum Jacket. PF-1353lclc-50-10M, fiber Optic Patch Cable 10 Meter LC-LC 50/125u MuliMode ofnr PVC- PepX pxid-1353. Fiber Optic Patch Cable LC to LC 10 Meter MultiMode 50/125 (OM3) Duplex Patch Cable 2.0mm ofnr PVC Non-Plenum Jacket. PF-1319lclc-15M, fiber Optic Patch. 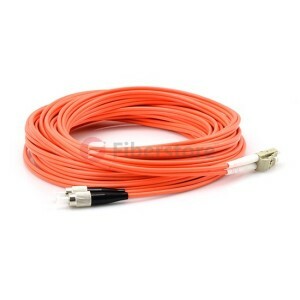 In Stock FO foot (30m) multimode duplex LC/LC 62.5 fiber cable – 3mm jacket 39.70 Qty. In Stock FO foot (40m) multimode duplex LC/LC 62.5 fiber cable – 3mm jacket 48.10 Qty. In Stock FO foot (50m) multimode duplex LC/LC 62.5 fiber cable – 3mm jacket 56.50 Qty. In Stock Back to Top Fiber Optic. This entry was posted in Multimode fiber cables and tagged multimode fiber optic cable, singlemode fiber, ST to ST on January 22, 2015 by Admin.